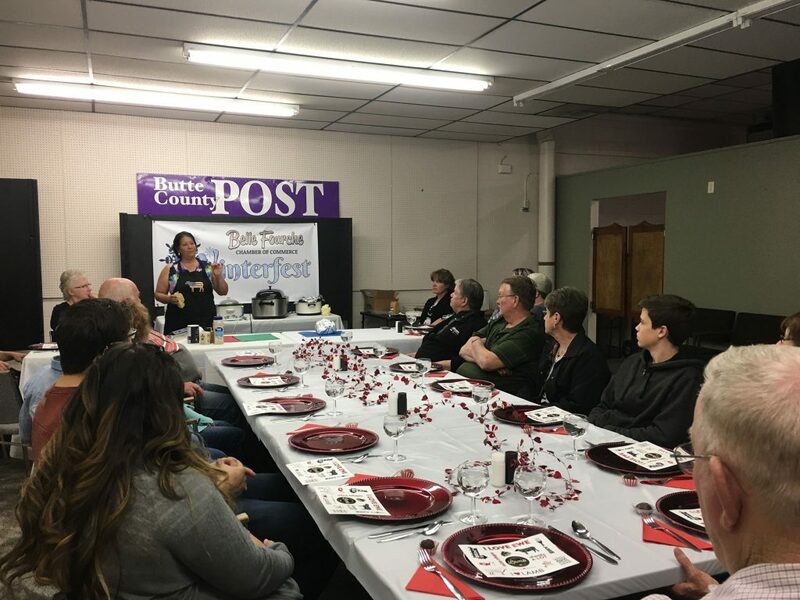 The taste of lamb is being rediscovered in Belle Fourche. 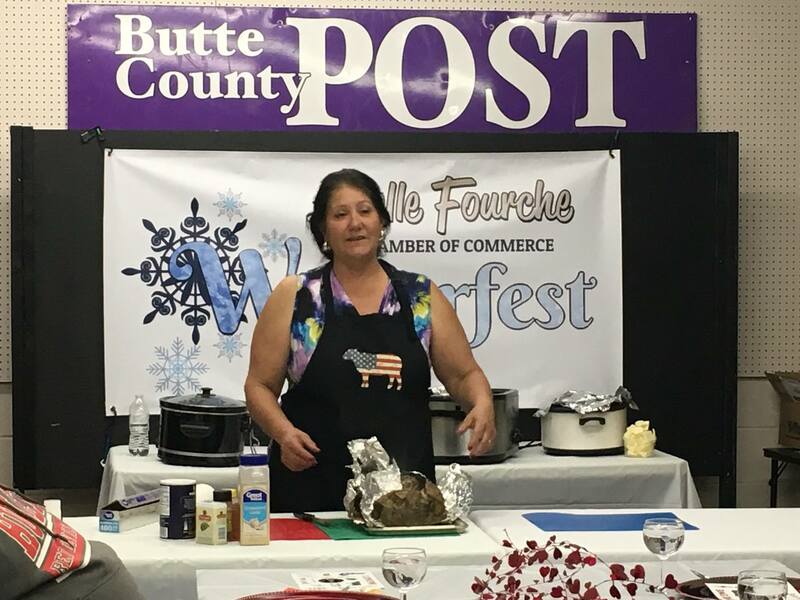 Gwen Kitzan from Kitzan Family Farms was back Feb. 16th with the Belle Fourche Chamber for another lamb cooking demonstration, this time for Winterfest. 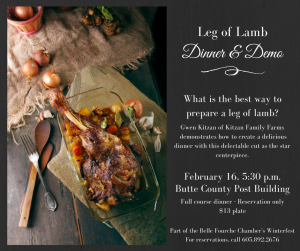 Kitzan demonstrated how to prepare a delicious leg of lamb and complimentary side dishes. 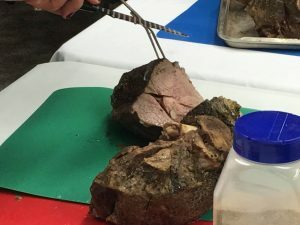 Eighteen people attended and were served a full dinner of leg of lamb, roasted potatoes, bacon-laced green beans, baking powder biscuits, and rhubarb cake for dessert. Most had not had lamb either before or in several years, and were interested in learning how to cook it at home for themselves. Kitzan is quick to reassure cautious cooks that lamb is not anymore difficult to prepare than pork of beef, and is one of the leaner choices of meat.